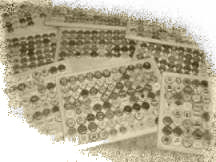 Welcome to Celestial Crown Cap - world of crown caps collecting! Welcome to Celestial Crown Cap - the world of crown caps collecting! This site highlights the bottle cap collection of Kimmo and Tommi Nieminen. We are collecting all kinds of bottle caps including beer, soda, cider, water, juice, wine etc. See the navigation on the left to find out our collection, caps available for trade and highlights of some nice caps on the sets page. 23.6.2015 - Added 4087 caps. 21.3.2014 - Tervetuloa Iltalehden lukijat. Kokoelma sivulta pääsee tutustumaan kokoelmaan maittain. Sarjat sivulla esitellään erilaisia korkkisarjoja eri puolilta maapalloa. Hakusivulta voi hakea korkkeja esimerkiksi panimon tai juoman nimellä. Jos teiltä löytyy korkkeja niin olemme kiinnostuneita kokoelmasta puuttuvista korkeista - ota yhteyttä: yhteystiedot. Added 2688 new caps. Few more to reach 80 000! 10.12.2011 - Added 1864 new caps. 20.7.2011 - Added 1845 new caps. Looking for missing Gilden Kölsch Veedel caps. 25.4.2011 - Added 1338 new caps. 6.3.2011 - Added 557 new caps. 6.1.2011 - First update of the year. 1146 new caps. New set caps again, looking for missing caps from Italian Euro set and German Rauh promo set. 11.12.2010 - Added 603 new caps to collection. Couple of new German sets. 23.11.2010 - Added 238 new caps to collection. 8.11.2010 - Added 183 new trade caps. The scanning page tells how we scan the caps. We have also other stuff available for trade! We will trade labels and coasters for all kinds of crown caps. Check the trade material. There you can see some examples - ask for more!